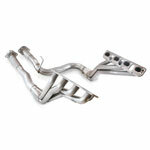 Corsa Performance 14451 - Corsa Dual Center Mount Exhaust with 4 Tips - 6.1L Jeep Grand Cherokee SRT8; 2006-2010. Utilizing patented* Reflective Sound Cancellation (RSC) technology, the CORSA exhaust allows for a full-bodied bold sound during hard acceleration and a quiet resonance-free note at cruising speeds - perfect for comfortable conversation and music-listening enjoyment. Quality, engineering and performance, in concert with power. 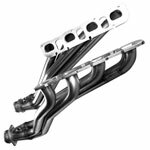 Flow bench-tested 17% gain in exhaust flow vs. stock muffler. 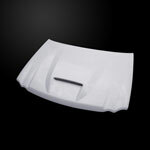 Dual rear center exit with handcrafted Twin Pro-Series 4.0 tips for enhanced vehicle appearance. 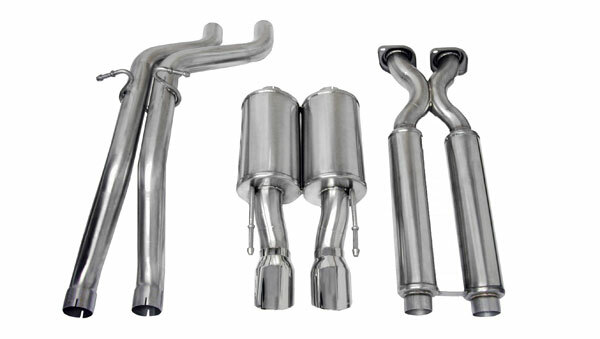 CORSA exhaust systems are not warranted to meet any specific local, state or federal noise ordinances. Please check applicable laws before installing. 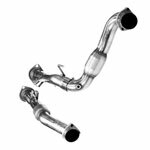 There is no drone with the CORSA exhaust system because the CORSA exhaust system uses RSC technology to eliminate problem frequencies that cause interior drone/resonance at cruising speeds. 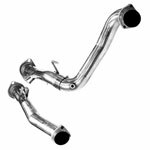 CORSA&apos;s Jeep Cherokee exhaust system features a patented non-restrictive Straight-through design reduces back pressure and frees up additional power resulting in improved horsepower and torque. As an additional bonus, your Jeep Cherokee can result in greater fuel economy because of less back pressure and more power.